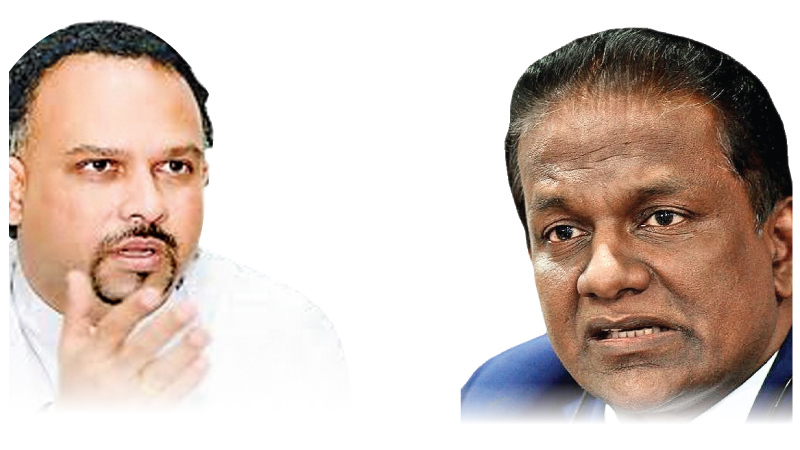 Speaker Karu Jayasuriya yesterday promised to hold an impartial inquiry into the incident involving Deputy Speaker Thilanga Sumathipala and Minister Navin Dissanayake in Parliament on Wednesday night. The Deputy Speaker on Thursday wrote to the Speaker complaining that Minister Navin Dissanayake had threatened him near the elevator on the Second Floor when he was leaving Parliament after voting in favour of the No-Confidence Motion. He had also lodged a Police complaint in that regard. MP Gunawardena in Parliament yesterday brought the attention of the House to this letter. “As MPs of this Parliament, we have a responsibility to see that the Deputy Speaker can discharge his duties freely. It is needed for the smooth functioning of Parliament. If he is faced with death threats, it is a serious matter,” he commented. Minister Dissanayake pledged his full support for the Speaker to hold an impartial inquiry into the incident. “I will be also sending a letter to you explaining as to what had actually happened. Then you conduct an impartial inquiry and finding out the truth. The incident was captured on CCTV and was also witnessed by two Police personnel. I can also lodge a Police complaint,” he said. “This is my 18th year in Parliament and in all these years, I have never insulted any Member of Parliament. I have never acted in a manner that spoiled my good name or self-respect. I hail from a respectable family. It was pathetic that MP Gunawardena, knowing that I never behave in such a manner, made those unfounded allegations,” Minister Dissanayake said. Leader of the House and Minister Lakshman Kiriella said Sumathipala had acted in a partial manner without giving due respect to his Deputy Speaker post. “I pointed this out at a Party Leaders’ Meeting previously. He took part in an SLFP press conference where the Prime Minister was criticised. He misinterpreted the Standing Orders when he said that a Secret Vote could be taken for an No Confidence Motion. What he said was totally wrong as secret votes could only be taken when electing the Speaker and when Parliament has to appoint a President,” he said.